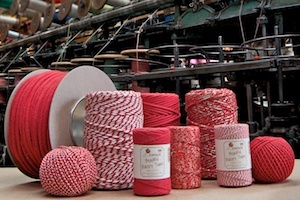 James Lever are manufacturers and suppliers of quality coloured cotton braids available in all 30 colours of the 'Beautiful Baker's Twine' range. These coloured cotton ropes are 6mm in diameter and have a synthetic core for superior strength and a soft coloured cotton outer. As these braided cotton ropes are available in all the colours of the rainbow our 'Baker's Braid' is perfect for decorative and craft use, packaging applications and as commercial components for projects. 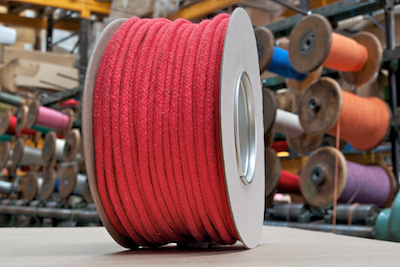 For further information on braided colour cotton ropes please contact James Lever Ropes and Twines manufacturers. Copyright © 2014 James Lever 1856. All rights reserved.